On Thursday, January, 7, 2016 at 10 a.m., at an open meeting, the committee will finalize questions all applicants will be required to answer as part of the online application process. The committee will accept applications online starting Friday, January 8, 2016 via the county Human Resources and Labor Relations Website at http://macombgov.org/HRLR-Home. The deadline to apply is Friday, January 22, 2016 at 4 pm. By law, applicants must be registered to vote in Macomb County, which means they must be at least 18 years old and a U.S. Citizen. In addition, a person who has been convicted of a violation of section 12a(1) of 1941 PA 370, MCL 38.412a, shall not be eligible to the office of Treasurer for a period of 20 years after conviction. MCL 38.412a prohibits providing or possessing a copy of classified service examination or answers. Committee members will provide names of applicants to be invited for an interview to the Human Resources and Labor Relations Department by Tuesday, January 26, 2016 at 4 p.m. The Human Resources and Labor Relations Department will contact candidates for appearance for interviews. The committee will interview candidates at a public committee meeting set for Friday, January 29, 2016 beginning at 8:30 a.m. The committee may appoint a new Treasurer at this meeting, but if not, the committee has reserved Friday, February 5, 2016 at 3 p.m as the date for an open meeting to continue the process to appoint a suitable person to fill the vacancy. Michigan Compiled Law 168.209(2).  All meetings will occur in the Macomb County Commission main meeting room, 9th Floor, Administration Building, One South Main, Mount Clemens, MI 48043. The public is welcome to attend. The previous Macomb County Treasurer, Ted Wahby, passed away on December 5, 2015. As required by law, the appointment committee is made up of Senior Probate Judge Kathryn George, Macomb County Prosecutor Eric Smith and the Macomb County Clerk / Register of Deeds. Chief Deputy Treasurer Jerry Moffitt is currently serving as interim Treasurer. The committee also heard reports about the legal requirements for making the appointment, the number of employees, and the budget. For 2016, the Treasurer’s Office has a General Fund budget of approximately $2.35 million, of which approximately $2.2 million is for personnel-related expenses. In addition, the Personal Property Tax Fund has a budget of approximately $540,000, of which approximately $480,000 is for personnel-related expenses. The department has 32 budgeted full-time positions. Employees are represented by the American Federation of State, County and Municipal Employees (AFSCME) and the United Auto Workers (UAW) unions. Information about the process, including the law and unofficial meeting minutes from Friday’s meeting is available at http://macombgov.org/Clerk-News-TreasurerAppointmentProcess.